LIGHTS, CAMERA, ACTION! 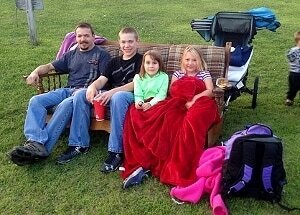 Get ready for an extra special family outing as we present an outdoor movie series under the stars at Prouty Beach! 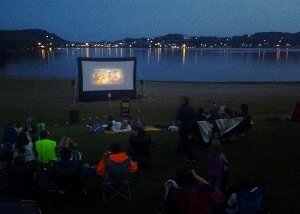 Imagine a beautiful sunset background, your favorite movie candy, warm buttery popcorn and great family entertainment on our 16 foot outdoor screen. Get comfy on the beach with your lawn chairs, blankets or even your couch for a super affordable and unforgettable family event! Start times vary based on sunset. Children under the age of 12 must be supervised by an adult, pets are not permitted. This is a smoke-free event. PARKING is in the back lot at Prouty Beach Campground. Handicap and loading zone only on the waterfront. We're super excited to bring you some great family films this summer! We kick off the movie season with a classic as requested by you: Back to the Future. Then, we get out our spyglasses and do some detective work with Sherlock Gnomes. Lastly, we'll be transported from our own little Prouty Beach on Lake Memphremagog to the warm tropical sands of Polynesia as we close off the season with Moana! Once you're cozy and have claimed your prime movie-watching spot, stop by the concession stand to satisfy your sweet tooth with drinks, popcorn, and your favorite movie candy. Concessions open 15 minutes before the show and are available for purchase throughout the movie in case you need a mid-movie refill. Don't see your favorite candy? Make a suggestion and it may find its way to our snack rack at the next show! 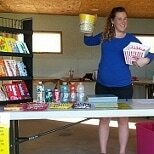 Concession sales help support the event. Outside food and drink are permitted, but please NO GLASS! Keep fingers crossed for good weather! 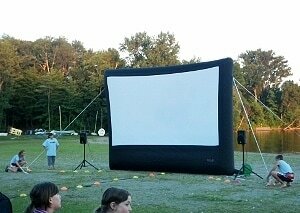 Occasionally Outdoor Movies are cancelled for rain or heavy wind. In the event of an inclement weather forecast, watch our Facebook page for updates or call (802)334-6345. Cancellations will be announced by noon on Friday in most cases.